***WARNING**** Do not fall victim to the failure of the OEM blue plastic drain plugs. The factory cheap plugs crack, break off and create service to nightmares to actual water leaks into your boat. 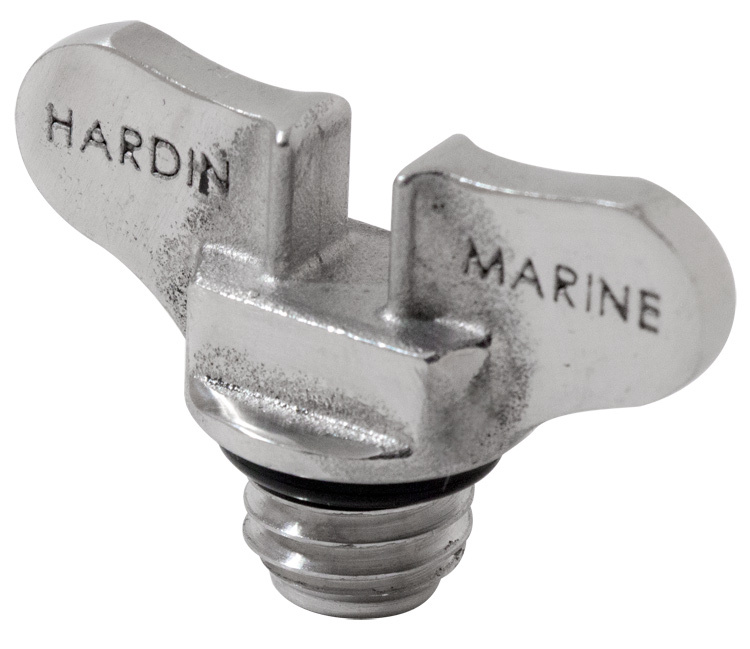 Hardin Marine has designed the "Lifetime Series" drain plugs to perfectly blend with their award winning lifetime series sea pumps. Whether your replacing your sea pump or merely servicing your boat you cannot afford to not update to the simple to install safer drain plugs. these replacements for Mercruiser #22-806608A02 / 8M2000874 from Hardin Marine are polished Stainless Steel and will last a lifetime! You Save: 20% off MSRP!